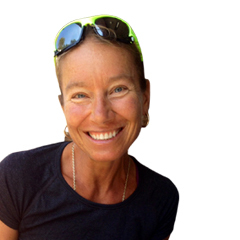 Suzanna McGee’s unique style of mindful fitness helps athletes and fitness enthusiasts prevent overuse injuries to become the fittest ever, at any age and stage of life. She is a former Ms. Natural Olympia drug-free bodybuilding champion, now competitive tennis player, author, speaker and performance coach with over 20 years of experience. She is certified by National Academy of Sports Medicine as a Performance Enhancement Specialist and Injury Prevention Specialist and CNS and eCornell Plant-Based Nutrition Certificate graduate. Learn more at tennisfitnesslove.com. Is this the Lean Body You Want for Summer and Life? A former Ms. Natural Olympia bodybuilding champion, avid tennis player and performance coach motivates us to increase energy, maximize health and have a lean body.